Hey Guys and Girls, I’ve got a book trailer for Sherrilyn Kenyon’s latest (sure to be) bestseller, Infinity. Enjoy! If you’d like to read the first chapter of Infinity, check it out at this link. P.S. Check out the comments on this post for an awesome extra, thanks to the Adam Ezra Group (the band from the video)! Hi! We’re the Adam Ezra Group (the band from the Infinity video). We’ve been getting a lot of questions about our music, so we’ve decided to give Sherrilyn Kenyon fans some free tunes! plug in the code, Infinity, on our website and click “redeem code” to get 3 free AEG songs! There are some great books to read at this website.Don’t Delay order now. Looks like a really great read – thanks for sharing this! Loved the trailer. You might also enjoy L.R. Saul’s new book called, “Bloodline Alliance,” which is a fantasy story that brings you into the lives of the characters that are unforgettable. This book was amazing to read. I hope you can check it out! I just love Sherrilyn Kenyon books im in the process of letting everyone i know read them. I own every one of them even the short stories. Now i cant wait for infinity to come next year. The Adam Ezra Group’s “Kill Like This” is the official song for the release of Infinty, the latest bestseller from Sherrilyn Kenyon. 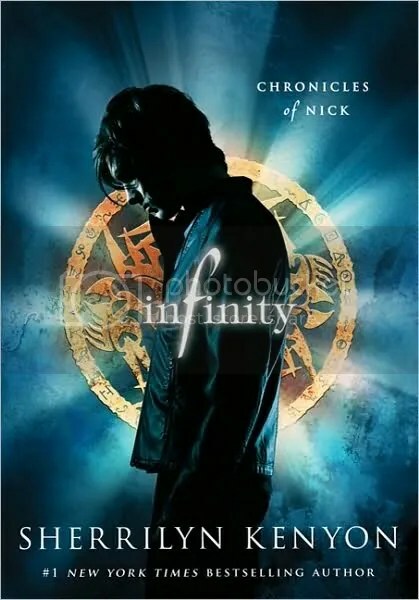 Send in your most creative pics and videos based on the book for a chance to win an IPad loaded with a copy of Infinty, as well as the latest album from the Adam Ezra Group, a re-mixed version of “Kill Like This” and special, un-released AEG material! It is worth its time, totally!